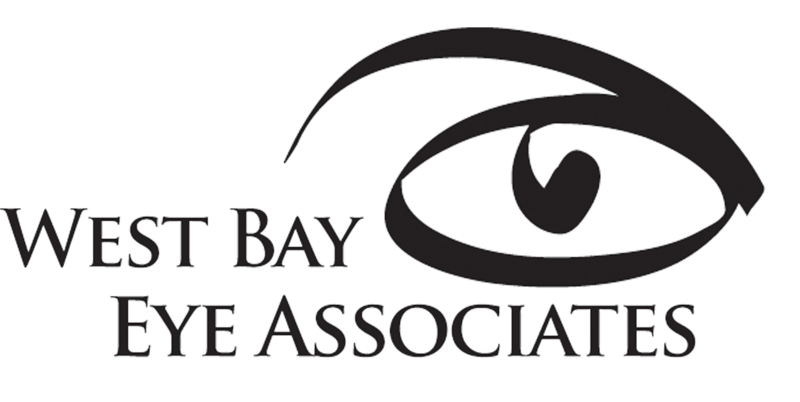 The doctors and staff of West Bay Eye Associates are dedicated to providing state of the art comprehensive eye care. We provide thorough eye examinations for the diagnosis and treatment of all conditions of the eyes including eyeglass and contact lens prescriptions, diseases, and emergency treatment for injury of the eyes. We provide individualized care to patients of all ages from infants to the elderly. The doctors also provide surgical consultation and co-management for Laser vision correction and eye diseases including cataract and glaucoma with immediate access to the best surgical specialists in the Rhode Island area. In addition to eye care services we also offer eyewear selection and frame styling to compliment your lifestyle along with contact lenses to fit both routine and complex eye conditions including astigmatism and bifocals. We are always available for emergency office visits for our patients. Not only do we care for our patients, we also perform clinical research and lecture on topics related to eye and vision care. 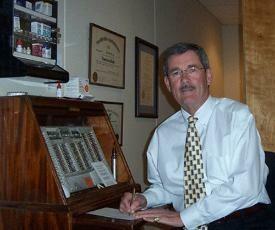 Dr. Ferris is a third generation Optometrist with over 40 years of experience in eye care. He is a 1966 graduate of the New England College of Optometry. He is a current member of the American Optometric Association and has served both as a Trustee and its President in 1986 - 87. Additionally, he is past President of the Rhode Island Optometric Association and also past chairman of The Rhode Island State Board of Examiners in Optometry. Dr. Ferris is a nationally recognized leader in the areas of patient care legislation and has testified on patient care issues before the Congress of the United States of America. An active member of his community, Dr. Ferris is a member of the Warwick Rotary and the Central Rhode Island Chamber of Commerce. He has served as a City Councilman in the city of Cranston, on the Board of Directors of the Trudeau Center, and as a member of the Narragansett Bay Water Quality Commission. Dr. Ferris was awarded the honorary degree of Doctor of Science in Optometry from The New England College of Optometry in recognition of his lifetime of achievements in the field of eye care. Dr. Georgia Patsiopoulos is a 2004 graduate of The New England College of Optometry. Prior to that, she completed her undergraduate training at Providence College receiving a Bachelor of Science degree. Additionally, she received a Masters degree from Boston University in 1997. 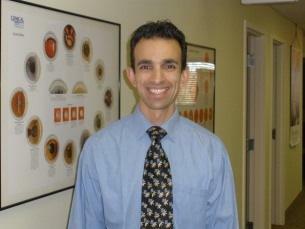 Dr. Patsiopoulos has a strong interest in clinical research in the field of eye care. During her studies, she was involved in the Research Honors program at NECO and has had her work published in the journal Optometry. As part of her training, she completed an externship in pediatric eye care at Bascom Palmer Eye Institute in Miami, FL where she was also involved in research evaluating pediatric amblyopia ("lazy eye"). Currently she is involved in ongoing clinical contact lens, lens solution, and dry eye studies in our practice. She is a member of the American Optometric Association and the Rhode Island Optometric Association where she currently serves as a member of the board of directors. Additionally, she serves as a member of the RIOA continuing education committee. Dr. Patsiopoulos was awarded her Fellowship in the American Academy of Optometry in 2008. Dr. Patsiopoulos joined our office in 2009 and her practice is open to patients of all ages for comprehensive eye exams and emergency eye care. Her special areas of interest include children’s eye care and specialty contact lenses. Michele is our office manager. In addition to managing the office, she is our expert with insurance claims. As a Certified Professional Coder, she has extensive knowledge in handling insurance related issues. Please do not hesitate to ask if you have any questions regarding your insurance coverage. In addition to her other duties in the office, Michele serves as Study Coordinator for our many FDA studies. Stephen M. Montaquila, O.D., F.A.A.O. ​Dr. Montaquila is a 1994 graduate of the New England College of Optometry. He joined the practice following an internship at the Rhode Island Eye Institute and after several years as staff Optometrist at Harvard Pilgrim Health Care of New England. He became a partner in 2000 and managing partner in 2006. He is a member of the American Optometric Association and the Rhode Island Optometric Association. He is a past president of the Rhode Island Optometric Association. Dr. Montaquila served as a clinical examiner for the National Board of Examiners in Optometry. Additionally, he has been the eye care representative to the state Medicare Carrier Advisory Committee. He has served as Chair of the American Optometric Association Third Party Executive Committee and currently serves on the AOA Federal Relations Committee. His work there deals on the national level with eye care coverage, reimbursement, and policy issues. He is active in clinical research in the areas of Dry Eye Syndrome, contact lenses, and lens care solutions. Additionally, he lectures nationally on topics relating to eye health, contact lenses, and health care delivery reform. In 2009 Dr. Montaquila was awarded his Fellowship in the American Academy of Optometry and became a Diplomate of the American Board of Optometry in 2011. Dr. Dao has relocated his practice to our office. He brings over 13 years of experience in providing primary eye care and contact lens services. He was born in Ho Chi Ming City (Saigon), Vietnam. At the age of 8, he and his family fled the country and became refugees in Thailand. They were later sponsored to come to the United States by a local church group in Cumberland, RI where he was then raised. Dr. Dao obtained his Bachelor's degree at the University of Rhode Island. He received his doctorate at the New England College of Optometry in 1996. He interned at the Providence Veteran Administration Hospital and then maintained a practice here in Warwick at the the Rhode Island Mall until October of 2010. Dr. Dao is a member of the American Optometric Association and served on the board of directors and as secretary of the Rhode Island Optometric Association. His love for optometry brought him to our practice where he joins our team in research and eyecare. Our techincians, Tina and Daniella will help you with everything from selecting the proper eyewear to fit your needs and lifestyle, manufacturing eyeglasses, contact lens education and training, as well as performing the many diagnostic tests that are necessary for the evaluation and management of you eye health and vision care. Also, if you have purchased eyewear from us, you can stop in at any time during the optical hours and one of our technicians will be happy to check the fit and adjustment to be sure that your glasses always fit comfortably and provide the best possible vision.